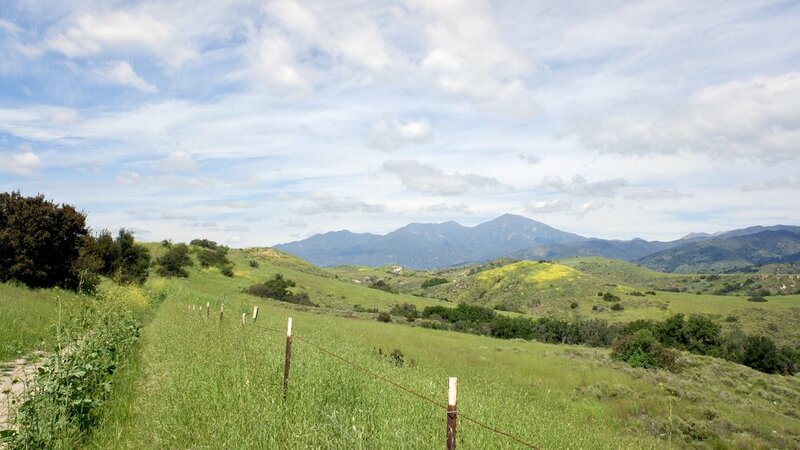 Coming off one of its wettest winters in recent memory, the parched state of California is starting to show some signs of old - green grass, wildflowers, robust foliage. Yesterday I ventured down Bell View Trail toward Casper’s Park off of Ortega Highway. My favorite thing about this trail is that I usually encounter less than one human being per 5 miles, and even fewer mountain bikers. Not sure why, but the hordes stay away from this place…maybe because it isn’t the easiest to access, it’s relatively flat and it turns into a furnace in the summer time. Below is a picture taken last year, virtually from the same spot as the above picture. Nice to see some green after so much brown!